An extraordinary space-saving furniture design firm has taken a space on Manhattan’s Upper East Side – land of tiny cramped studio apartments. Resource Furniture creates the most perfectly engineered convertible furniture that can shape-shift at the touch of a finger, as their video shows. This makes it possible to get twice the roomy living out of the same space, effectively halving your rent, as well as your impact on the planet. Did you notice how the shelf display does not need to be unpacked every night before bed? 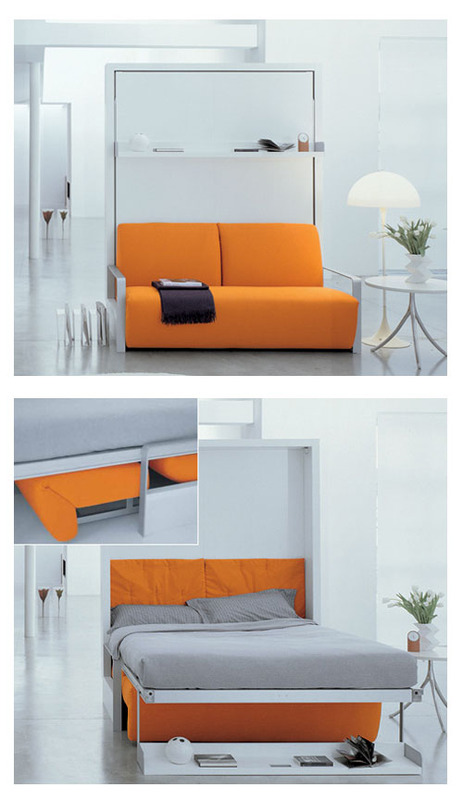 Watch how the shelf simply swings out – always staying parallel to floor level, and then once it gets to the floor: it cleverly becomes the leg that is holding up the bed. They are strapped down firmly to the base so there is no slippage as they go up to free up daytime space. Sofa pillows stay fresh because they store underneath. 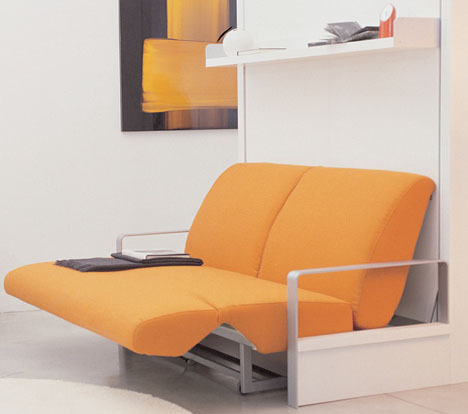 There are intermediate stages, between the buttoned-up day sofa, and the cozy night time bed. What a truly brilliant idea. After all, why do we need to pay rent on entirely different spaces for sleeping? Especially considering that the eight hours or so we spend in bed – we are not even conscious! Why should we pay premium rents to save that space, just so we can be oblivious there. This way you get to use that space twice! Fabulous creative thinking. This entry was posted on Monday, November 15th, 2010 by Susan Kraemer and is filed under Green. You can follow any responses to this entry through the RSS 2.0 feed. You can leave a comment. Nice Furniture. I particularly liked the children's room. 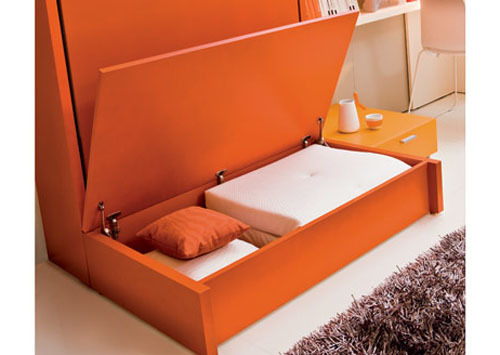 Why take up such a large chunk of space with a bed, instead give y our child more room to play. Where can I buy this, and how much? Thanks!